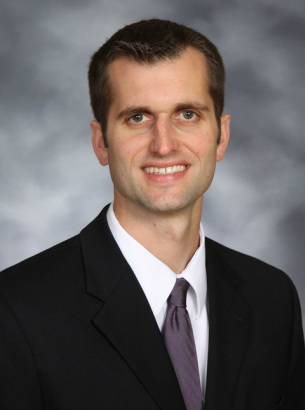 Dr. Andrew Emch is a proud 2001 graduate of Archbold High School. He holds a B.S. and M.S. from The Ohio State University, where he also obtained his doctorate of optometry. He continued his training at the UC Berkeley School of Optometry where he completed a residency that focused on specialty contact lens fitting for unique eyes and the treatment and management of ocular disease. Following residency, Dr. Andrew accepted a position at OSU as an assistant professor where he actively contributed to education, clinic, research, and service. He has been involved internationally with optometric education, and he has participated in many missions to Central and South America. Dr. Andrew has also contributed to numerous studies on contact lens materials as well as dry eye syndrome. He is a member of the American Optometric Association, the Ohio Optometric Association, and he is also a Fellow in the American Academy of Optometry. Dr. Laura (Lossing) Emch is from Granville, OH. She holds a B.S. in zoology from Miami University, and she completed her M.S. and O.D. at the Ohio State University College of Optometry. 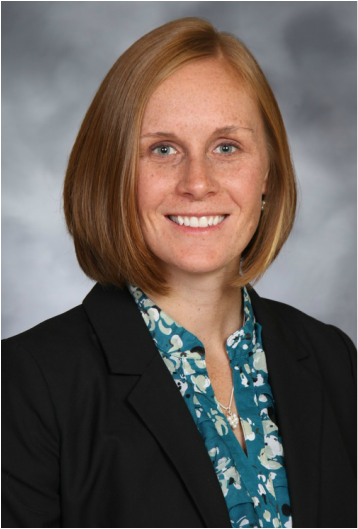 Dr. Laura accomplished her residency training at the White River Junction VA Hospital in Vermont, which focused on the treatment and management of ocular disease in our nation's military veterans. Dr. Laura returned to central Ohio where she continued her work with the veteran population at the Chalmers P. Wylie VA in Columbus. Dr. Laura has lectured to her colleagues in central Ohio on ocular disease. She has also traveled to locations throughout Central and South America, as well as Africa to provide optometric care to those in need. Dr. Laura is a member of the AOA, OOA, and is a Fellow in the Amercian Academy of Optometry. She has also worked with the Ohio Optometric Association's "Real Eyes" program to educate children throughout Northwest Ohio on eye health and eye safety. Dr. John Emch earned his Doctor of Optometry degree from the Ohio State University. After serving as staff optometrist at The Ohio Medical Clinic in Toledo, he opened his optometry practice in Archbold, Ohio in 1976. For over 35 years he has served his patients, striving to provide the best possible clear, comfortable vision, and healthy eyes. He is married to Bev, now a retired teacher from Four County Career Center and Archbold High School. His children are Kate, a registered nurse, Andrew, an optometrist that now owns and operates the practice that Dr. John once began, and Joseph, now deceased. 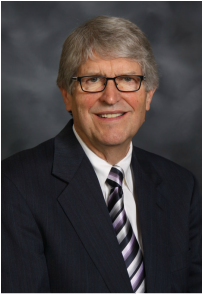 Dr. John is a longtime member of the Archbold Lions Club, the Archbold United Methodist Church, and has served on the boards of United Way and Fairlawn Haven. He is also a past president of the Archbold Area Chamber of Commerce.